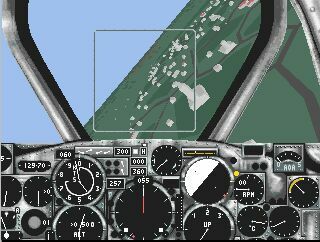 The virtual cockpit gauges function, as I expect them to in 2003, but they are rather blurry and the clarity doesn't improve on zooming in. This page describes NAV mode only - there are also Air to Air and Air to Ground modes. Anyway I was planning my F-16 cockpit, and a quick phone call to General Dynamics USA led to a nice chat with a senior manager and my request for a photo of the F-16A cockpit led to this arriving in the mail a week later! My first cockpit was scaled fairly closely to the F-16. Using calipers I multiplied the dimensions out to build a cardboard mockup and then a plywood and aluminium prototype. The F-35 Cockpit demonstrator has 180 degrees of visuals and a fully working HOTAS, MFDs and flight controls. Photo by MiGMan at Kingsford Smith International Airport, Sydney, 199x. Francisco J. Campos reports: "in December 1927, the first commercial flight between Barcelona and Madrid for Spanish Airline Iberia took place with a huge success. This gave Doctor Andreu a great idea: create a ride for his park imitating a plane flight. He commissioned the construction of a replica from that plane, a German-made Rohrbach Roland able to transport 10 people and its crew. The plane was hanging from an elaborate crane rig, allowing it to fly in a circle pattern, powered by its own propeller. Since the whole contraption was placed in top of the mountain, and "flew" over open space, the passengers had the exact feeling of a real flight over the city."